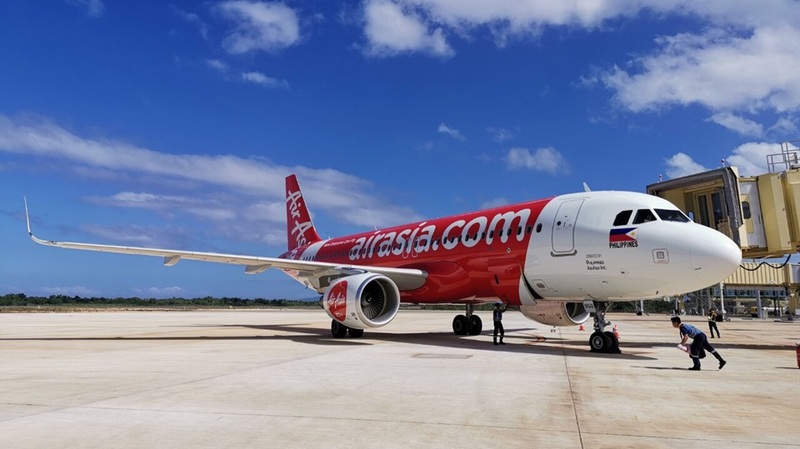 AirAsia flight 8950 arrives at the Bohol Panglao International Airport in Panglao on Tuesday morning making history as the first ever commercial aircraft to land at the new facility. AirAsia Philippines is planning to launch direct international flights for the Bohol Panglao International Airport (BPIA) next year as part of the airline’s bid to make the new facility in the resort town of Panglao one of its hubs, said an airline official. The budget carrier is initially considering establishing direct routes that will connect Bohol to Macau and Tapei, said AirAsia CEO Capt. Dexter Comendador. “Hopefully we can [launch] late next year depending on the facilities as the airport is improved and it is cleared for international flights…easily we can do Macua and Tapei when the CIQ [custom, immigration and quarantine facility] is available in Panglao,” Comendador added. AirAsia is also planning to make the BPIA a base for multiple planes that will be used for international flights. “We hope to base a plane here next year as soon as the facilities are available. We should be able to base more planes as the years go by. We plan to make Bohol, Panglao in particular, as a main base for flying international flights,” he said. Meanwhile, all of AirAsia’s flights and those of other airlines, including Philippine Airlines and Cebu Pacific have been transferred to the BPIA following the closure of the Tagbilaran Airport, which was Bohol’s main gateway for over a decade. AirAsia, the provincial government’s partner airline, conducted a proving flight at the BPIA on Tuesday morning as part of the facility’s inauguration which was led by President Duterte on the same day. An Airbus 320 of the low-cost carrier landed at the BPIA at 9:30 a.m. becoming the first commercial aircraft to land at the BPIA.